YOU MIGHT THINK I AM ADDICTED TO COFFEE ! WELL, WHAT A WONDERFUL TASTE ! Bushman Sosatie – Local is lekka! Separate eggs, whisk yolks with sugar until thick and creamy. 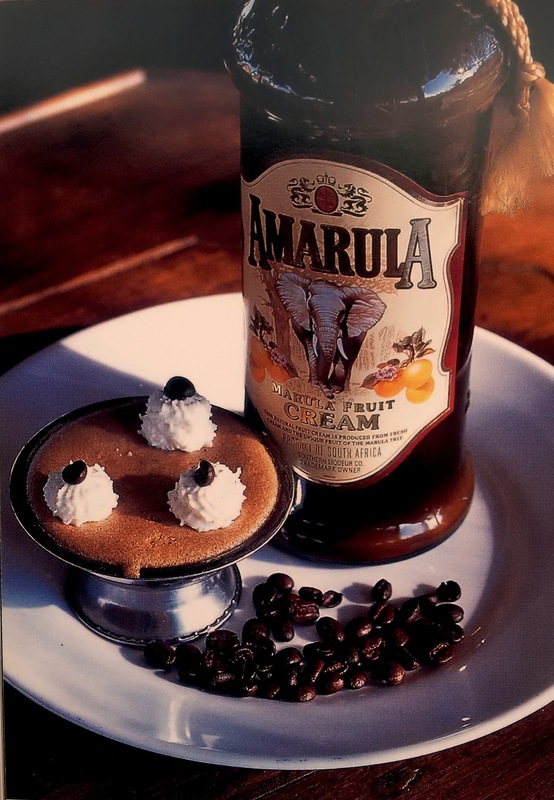 Add Amarula. Dissolve gelatine and coffee in 1 tablespoon hot water and stir. Whisk egg whites until stiff, whip the cream, and stir the gelatin mixture into the egg yolks and sugar mix. Fold in the cream and egg white, reserving a little cream for decoration. Spoon into individual serving pots and refrigerate until set. Pipe whirls of cream on mousse and decorate with a coffee bean.